Switzerland-based specialty chemicals supplier Clariant announced that its Exolit non-halogenated flame retardants has received European Union (EU) recognition. Entitled “Life Cycle Assessment of Environmentally Compatible Flame Retardants” (ENFIRO), the EU’s three-year viability study focused on flame retardants for smartphones, laptops and other electrical and electronics, involving 12 partners and looked at 15 commercially available, non-halogenated flame retardants of different composition and applications. It found halogen-free flame retardants (HFFRs), such as Exolit OP and Exolit AP based on ammonium polyphosphate, to offer similar fire performance and technical application capabilities as brominated flame retardants (BFRs) while producing less smoke and less undesirable components in smoke. 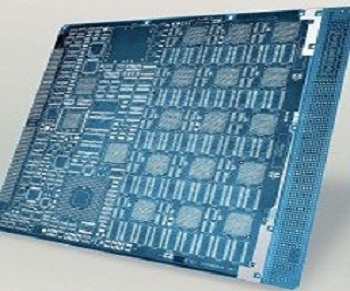 In the case of printed circuit boards, HFFRs were as good as or better compared to the reference circuit boards produced using BFRs. Clariant adds that its Exolit OP was amongst the nominated finalists for the prestigious German business innovation prize “Innovationspreis der Deutschen Wirtschaft 2012/2013”. “Industries such as consumer electronics and telecommunications, along with electrical engineering, photovoltaics, household appliances and others, seek the optimal technological and economical solutions to fulfill fire safety requirements. Independent acknowledgement of the ecological, toxicological and performance benefits of non-halogenated flame retardants such as Exolit will help provide the leverage and positive support these industries need to transition toward more environmentally-compatible flame retardants for their applications.” comments Adrian Beard, Head of Marketing for Flame Retardants at Clariant.